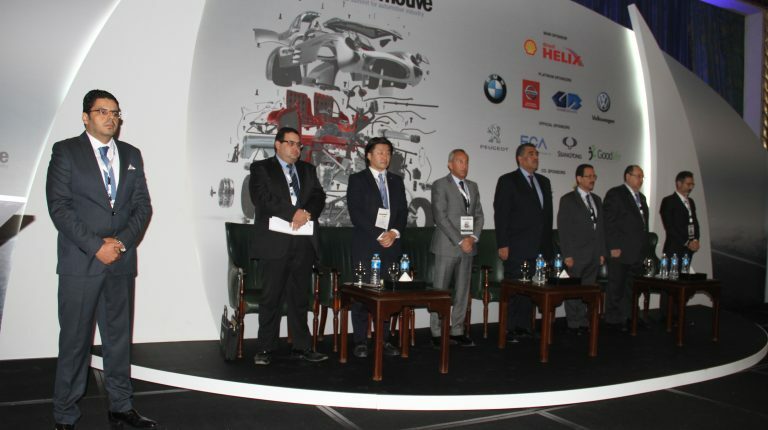 Workers in the automotive industry have participated in the fouth round of Egypt’s Automotive summit 2017 with great hopes for reviving the industry, amid the current fluctuations in the Egyptian car market. A number of auto experts believe that theis year’s summit tackled all the challenges facing the sector, notably the severe drop in car sales, the halt ofin investments, the decline of purchasing power, and the government’s development strategy for the automotive industry. Daily News Egypt explored the expectations of a large number of auto experts and workers regarding the 4th Egypt Automotive summit, as well as key topics they would like to discuss during the summit. Hussein Mostafa, the executive director of the Egyptian Automobile Manufacturers Association (EAMA) and the chairperson of the automobile committee of the Central Bank of Egypt (CBE), said that the summit provides a great opportunity for the private and government sectors to discuss the auto industry’s situation. Khaled Saad, director general of Bavarian Brilliance and member of the board of directors of EAMA, pointed out that Egypt Automotive always comes out with good recommendations that serve the sector, even though the government routine negatively affects them. Saad stressed the need to discuss local manufacturing during the summit, taking advantage of the presence of feeder industry companies and the authorities responsible for the awaited auto strategy. Head of the Egyptian Automotive Dealers Association Osama Abu Al-Majd said that the 4th Egypt Automotive show will be fruitful, given the many issues surfacing the sector, including the new traffic law, the automotive strategy, and customs regulations. Alaa Al-Saba, a member of the board of directors of the Cairo Chamber of Commerce and chairperson of Al-Saba Automotive, said that the current summit is expected to issue important recommendations and hoped that summit speakers would take into consideration public interest rather than personal problems. Al-Saba added that the summit should launch a traffic awareness campaign sponsored by major auto companies in cooperation with the Ministry of Interior. In addition, the summit should discuss the new traffic law and the required infrastructure for its operation in the coming period. Amr Nassar, executive advisor to MCV Group and secretary general of the Export Council of Engineering Industries, said that Egypt Automotive represents four years of continuous efforts to develop the auto sector. He noted that it should remain as an important platform that gather car companies and manufacturers as well as concerned government authorities. Nassar added that the fourth summit should tackle the automotive sector from two angles. First, it should accurately present the current situation of the automotive industry including the challenges facing the sector. Second, it should present a future vision of the automotive industry based on government authorities’ plan to attract new investments to the sector. For his part, auto expert Raafat Masrouga called for discussing the Mercosur agreement, that would contribute to increasing the price of Egyptian products compared to imported ones. He also urged the need to discuss the new investment law and the delay in issuing the auto industry strategy, which affects the car market’s stability as it is expected to solve the obstacles facing the sector.